This modestly dressed and respectable-looking young woman is none other than Adrienne Lecouvreur, the most celebrated French actress of her age. The portrait, by Louis de Fontaine, was sold at auction in Versailles in April of this year. Up until now it was known only from engravings. 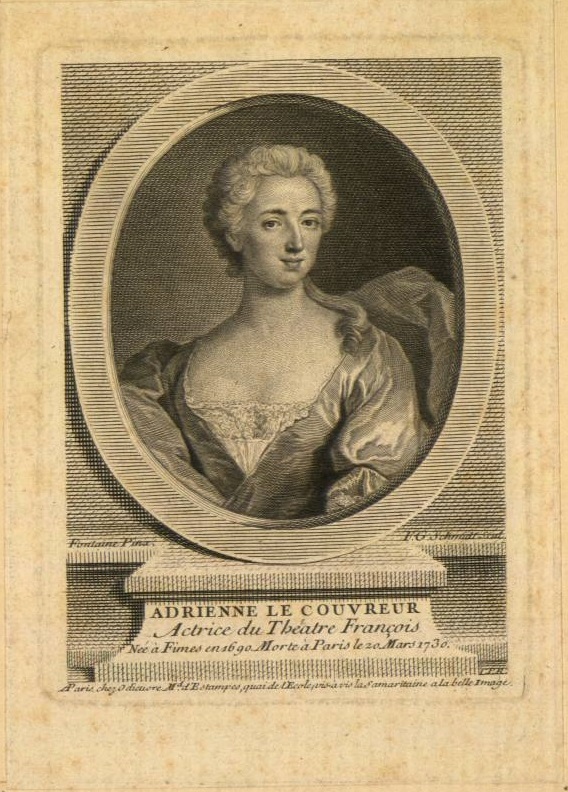 Adrienne Lecouvreur was born into modest circumstances on the 5th April 1692 at Damery, near Epernay and brought up in Paris by her father who was a hatter by trade. 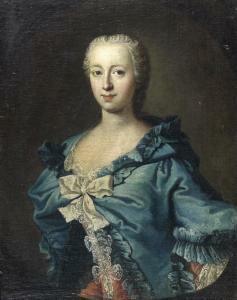 Having been on stage, as part of an amateur group then with various provincial troupes, since the age of fourteen, she was received into the Comédie Française in 1717. For thirteen years she was the acknowledged “Queen of Tragedy” and achieved enormous popularity; she was said to have played no fewer than 1,184 times in a hundred roles, of which she created twenty-two. Her success was attributed at the time to her abandonment of the traditional quasi-operatic style of delivery in favour of an emotional intensity which was “simple, noble and natural”. It was her romance with the flamboyantly reckless Marechal de Saxe, whom Adrienne met in 1721 (three years before the portrait was painted), that brought about the mysterious and much chronicled events surrounding her death. It was widely rumoured that she had been poisoned by her rival, the Duchesse de Bouillon, dying on the 20th March 1730. There are references to two sales, one at Christie's in London in 2007 and one in Versailles in 2013. It is not made clear, but they must surely be of the same painting. In London it made only £1,875 which seems a bit of a bargain for such a significant portrait.